KAMPALA – Last week, the B2C music artists confirmed firing their manager, Andrew Mugerwa better known as Andy Events. The singers in the statement confirmed to their fans about the development after reports had emerged that the two parties were no longer together. In the statement, the B2C group made of Mr. Lee, Delivad Julio and Bobby Lash indicated that all is well with Andy Events and that they will be forever grateful to him. Andy had earlier said there is no bad blood between him and the ‘Gutamiza’ singers. However, this seems to be far from the truth if recent reports are anything to go by. 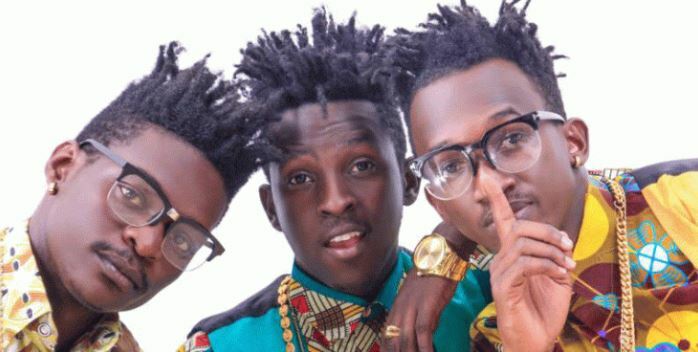 Fresh reports indicate that B2C is set to battle Andy Events in court over the ownership of the group name-B2C. This is after it emerged that Andy Events registered the patent of the group as his creation. Should the court rule in Andy’s favour, the trio will be forced to adopt a new name and start from scratch. Reports indicate that the trio is conducting intense consultation with their legal minds. B2C announced that they are currently managing themselves and will unveil new management anytime. According to B2C, they made the painful decision to fire Andy Events because he has several commitments that might hinder his managerial performance yet the entertainment industry is very demanding and requires 100 percent input.